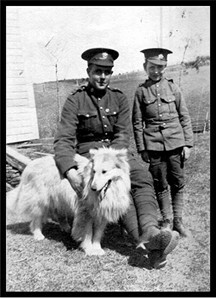 Armstrong (Dunns Corner / Summer Hill) Picture -Austin Armstrong & Ken Woods (Austin the young boy) taken World War I era. Barnett (Clones / Coote Hill / Hibernia / New Jerusalem) (Web) George Barnett came from Ireland in the year 1823. His descendants spread though out the area. Belyea (Coote Hill / New Jerusalem) (Web) The Belyea family, Hendrick & his second wife, and a number of children settled in Queens and Kings County. A number of their descendants settled within the limits of Base Gagetown. Including the Barnetts (above), the Cochranes, Fultons and others. Boechka (Dunns Corner) (File-01) Frozina d/o Stephen Boechka, m. Afanasy Schwetz. They settled in Dunns Corner in the summer of 1928, having bought the farm a year or two earlier. Bogle (New Jerusalem) (Web) Ann Barnett came from Ireland to New Jerusalem in the year 1823. She m.1) Samuel Linskell and 2) James Bogle. They were the parents of the Bogles in New Jerusalem. (File-01) A chronical of descendants of Ann & James Bogle - plus history of Samuel Linskell.